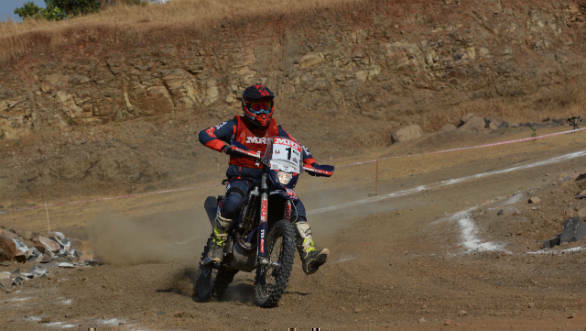 TVS Racing finished the 2018 edition of the Indian national Rally Championship on a high note, winning championships in four out of five categories. This strong show saw a fitting end at the final round of the season that took place in Puttur, Mangalore last weekend. In this round, Rajendra RE took top honours in the Super Bike Pro Experts Category. 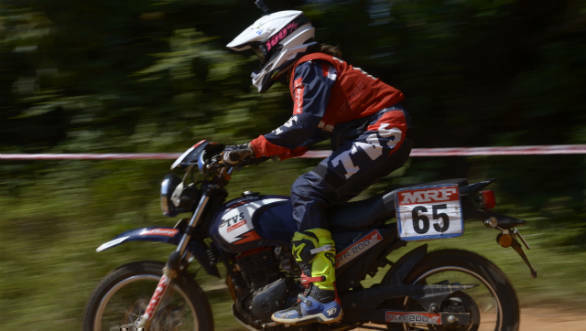 In her first race post the injury at Baja World Rally, Aishwarya Pissay won the final round to win the Group B Ladies Class second time in a row. In the season's overall standings, TVS Racing's R Nataraj won the Super Bike (Pro Expert) Class Group A , piloting an RTR 450 FX. Team-mate Rajendra RE won the Super Sport (260) Group B category. As mentioned, Aishwarya Pissay won the Group B Ladies Class and Imran Pasha won the Super Sport (165) Group B category. In the scooter class, Syed Asif Ali came in at second place in the championship, riding an Ntorq SXR. The other winners were on RTR 200s. TVS Racing's team manager, B Selvaraj commented on this performance by saying that he was happy that he could maintain their winning record this year as well and would like to congratulate the team on their commendable performances.